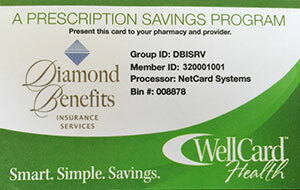 Diamond Benefits values your privacy and recognizes the sensitivity of your personal information. We welcome visitors to our site and do not require registration to view our Web pages. Visitors to our site may choose to provide personal information for purposes of marketing and communications through our Request a Quote Web pages or by sending an e-mail to Diamond Benefits. Diamond Benefits does not provide personal information about individual visitors to any third party without your knowledge and consent. Diamond Benefits collects IP addresses for the purposes of system administration, to report aggregate information and to audit the use of our site. When you request pages from diamondbenefits.com, our host servers log the users' IP addresses. We do not link IP addresses to anything personally identifiable, which means that a user's session will be logged, but the user remains anonymous to us. Please be assured that Diamond Benefits takes every reasonable precaution to protect your information. Only Diamond Benefits employees authorized to view personal information provided voluntarily to us by visitors to our site have access to the data. Our employees are notified and/or reminded about the importance we place on privacy, and what they can do to ensure our client and visitor information is protected.